ANS methods are offered on a license basis. License includes know-how transfer and engineering support with process implementation and support. When a company desires to improve performance of a specific component or find a solution to abrasion- or friction problems in a product, ANS will be contacted for collaboration in finding a sustainable, long-term solution. Perceived friction and/or wear problems are formulated by the company together with a defined target of performance improvement as ANS-treated component is expected to provide. ANS technicians will then provide a prototype treatment solution based on parameters such as material composition, component geometry and contact situation, temperature- and lubrication conditions. The prototype solution is evaluated in the ANS test lab for wear, friction and component life. Alternatively, the prototype solution is tested in the company’s own test equipment or in a combination: both at ANS and the company. When informed on production conditions, ANS technicians are able to formulate a preliminary solution for a complete ANS-integrated production. 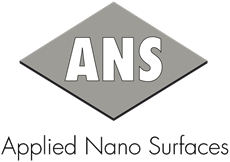 If the company’s requirements for the above mentioned areas are reached, ANS surface treatments will be ready for immediate use in connection with a licensing agreement between component manufacturer and ANS. The license agreement also includes conditions for the continued collaboration with ANS.